,enabling you to present your latest research to the scientific community and to have the opportunity to participate in fruitful exchanges of information with academic and industrial groups from all over the world. It is absolutely free of charge to participate as an author or a visitor; all you need to do is create an account on the home page. Accepted full papers will be published in the Journal Proceedings. After the conference, the authors are also welcome to submit an extended version of the proceeding papers to the Special Issue of Journal Metabolites with 20% discount of the APC charges. 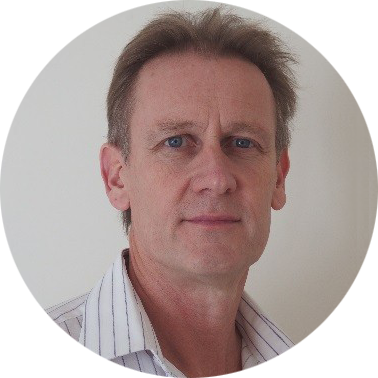 A/Prof Peter Meikle is a NHMRC Senior Research Fellow, Obesity and Diabetes Program Leader and Head of the Metabolomics Laboratory at Baker Heart and Diabetes Institute. He is Editor-in-Chief of Metabolites and holds affiliate positions at the University of Melbourne, Monash University and the University of Sydney. The Metabolomics Laboratory has a focus on the dyslipidemia and altered lipid metabolism associated with obesity, diabetes and cardiovascular disease and its relationship to the pathogenesis of these disease states. This work is leading to new approaches to early diagnosis and risk assessment as well as the development of new lipid modulating therapies for chronic disease. The 2nd International Electronic Conference on Metabolomics and its Applications will be held from 20–27 November 2017 in an online environment. The objective of this event is to bring researchers working in the field onto a common platform where they can present and discuss their recent research without the need to travel. All proceedings will be held online at https://sciforum.net/conference/iecm-2. The 2nd International Electronic Conference on Metabolomics and its Applications is free of charge for contributors and visitors. It is a good way for scholars to share ideas online without time and space barriers. Authors are invited to provide a short abstract online at http://www.sciforum.net/login from now until 30 September 2017. Acceptance of the abstract will be determined by 10 October 2017. Author(s) will be asked to present their work (in English) in the form of a slide show (or a video) using the PPT template provided by the conference (see Instructions for Authors). For accepted abstracts, the full paper needs to be submitted by 10 November. All accepted presentations will be displayed on the internet, at https://sciforum.net/conference/iecm-2, from 20–27 November 2017. After the event, proceedings from the conference (abstracts) will be published in the online open access journal, Proceedings. Authors are also welcome to submit the extended version of their work for consideration and publication in a Special Issue of Metabolites. 20% discount is offered for all the authors participating in this conference. The scientific committee will consider all presentations and invite authors of the most outstanding work presented at the conference to publish free of charge in the Metabolites Special Issue. The Scientific Committee looks forward to receiving contributions in response to this call, and will be glad to provide any further information to interested parties. Questions may be addressed to the chairman, A/Prof. Peter J Meikle, via e-mail at [email protected] or the conference secretary at [email protected] or [email protected]. We thank you in advance for your presence at this conference and your contribution to its success. Researchers interested in attending the conference must submit the abstract, on this website and no later than 30 September 2017. The Conference Committee will pre-evaluate, based on the submitted abstract, whether a contribution from the author fits in the scope of The 2nd International Electronic Conference on Metabolomics. All authors will be notified by 10 October 2017about the acceptance of their abstract. After the abstract is accepted by the Scientific Committee, the authors will be invited to prepare a full description of their work preferably under the form of a PowerPoint and/or video presentation, and to upload it before 10 November 2017 to ensure final check. The presentations will be accessible on https://sciforum.net/conference/iecm-2 during the conference time. Accepted full papers will be published in the Journal Proceedings (PPT and videos will not be published). After the conference, the authors are also welcome to submit an extended version of the proceeding papers to the Metabolites Special Issue with 20% discount of the APC charges. Manuscripts should be prepared in MS Word or any other word processor and should be converted to the PDF format before submission. The publication format will be PDF. The manuscript should count at least 3 pages (including figures, tables and references). There is no page limit on the length, although authors are asked to keep their papers as concise as possible. Authors are encouraged to prepare a power point presentation using the template provided by the Conference (see download below). Slides will be displayed directly in the website using Sciforum.net's proprietary slides viewer. They can be prepared in the same way as for any traditional conference where research results can be presented. Slides should be converted to the PDF format before submission so that our process can easily and automatically convert them for online displaying. Authors are also welcome to submit video presentations. If you are interested in submitting, please contact the conference organizer ([email protected] or [email protected]) to get to know more about the procedure. Tips for authors: If you would like to prepare a video (15-20 minutes) based on your PPT presentation, you may use the "record slide" function in the PowerPoint. After recording, you can save the file as type: MPEG-4 Viedo (*.mp4). Manuscripts should be submitted online at www.sciforum.net/login by registering and logging in to this website. Please use below Microsoft Word template to prepare your manuscript. Note: Please do not insert any graphics (schemes, figures, etc.) into a movable frame which can superimpose the text and make the layout very difficult. Formatting / Style: The paper style of the Journal Metabolites should be followed. You may download the template file to prepare your paper. The full titles and the cited papers must be given. Reference numbers should be placed in square brackets [ ], and placed before the punctuation; for example  or [1-3], and all the references should be listed separately and as the last section at the end of the manuscript. See the Reference List and Citations Guide for more detailed information. Authors List and Affiliation Format: Authors' full first and last names must be given. Abbreviated middle name can be added. For papers written by various contributors, a corresponding author must be designated. The PubMed/MEDLINE format is used for affiliations: complete street address information including city, zip code, state/province, country, and email address should be added. All authors who contributed significantly to the manuscript (including writing a section) should be listed on the first page of the manuscript, below the title of the article. Other parties, who provided only minor contributions, should be listed under Acknowledgments only. Figures, Schemes and Tables: 1) All Figures, Schemes and Tables should be inserted into the main text close to their first citation and must be numbered following their number of appearance (Figure 1, Scheme I, Figure 2, Scheme II, Table 1, etc.). 2) All Figures, Schemes and Tables should have a short explanatory title and caption. 3) All table columns should have an explanatory heading. Mutations in mitochondrial membrane proteins could cause physiological and metabolic alterations in mitochondria as well as in cytosol. In order to address the origin of these alterations, mitochondria and cytosol of yeast wild-type BY4741 and two mutants, sdh2Δ and atp4Δ, were isolated from whole cells. These three compartments, namely mitochondria, cytosol and whole cell, were analyzed by gas chromatography-mass spectrometry based metabolic profiling, identifying seventy-three metabolites altogether, from which sixteen or ten were not detected either in mitochondria or cytosol. Compartment-specific distribution and regulation of metabolites were observed, showing the responses to the deletions of sdh2 and atp4. Based on the metabolic signature in mitochondrial matrix and cytosol, both mutants can be discriminated from wild-type by principal component analysis. De letions of electron chain transport components, sdh2 and atp4, altered not only citrate cycle related metabolites, but also diverse metabolites including amino acids, fatty acids, purine and pyrimidine intermediates and others. By applying metabolomics to isolated mitochondria and cytosol, compartment-specific metabolic regulation can be identified, which is helpful in understanding the molecular mechanism of mitochondrial homeostasis in response to genetic mutations. With a global rise in ageing population and age-associated diseases, understanding how diet modifies cognitive ageing represents key revenues for prevention. Epidemiology suggests inverse associations between specific dietary patterns (i.e. Mediterranean diet) and cognitive decline and neurodegenerative diseases [1-3]- which raises an important question: which dietary bioactives (i.e. metabolites derived from plant foods) are capable of modulating neuronal ageing? In this discovery (D-CogPlast6) study, we aim to identify a combination of diet-derived metabolites associated with cognitive decline using untargeted metabolomics. We leveraged the Three-City (3C) study (a large French cohort of elderly people) and compared the metabolic profiles of 209 individuals who later developed cognitive decline over 13 years against 209 controls with preserved cognition. Subjects were matched for age at baseline, gender and level of education. Serum samples (collected at the beginning of the cohort study when all participants were cognitively healthy) were profiled using high-resolution UHPLC-QToF (Bruker Impact ll) and raw UHPLC-MS data were processed using Galaxy (WorkFlow4Metabolomics.org). Validated PLS-DA clearly distinguished between case and control populations. To account for the matched case-control study design and for potential confounders (i.e. season of blood sampling, body mass index, and number of medications consumed), sparse conditional logistic regression (with bootstrapped re-sampling) was adapted. 17 ions were representative of a serum metabolomic profile associated with cognition. These ions and their clusters whose intensities were significantly elevated in each of the population groups were annotated using online and in-house databases, literature search and commercial standards. Tandem MS/MS fragmentation is presently in progress for further validation of these ions’ identification. Next, the robustness of this set of ions will be validated in a separate cohort of 400 subjects. The ability of these ions predictive of cognitive decline to modulate brain plasticity and neuronal integrity will be further investigated in an in vitro parabiosis assay and finally in a proof-of-principle dietary intervention mouse model. It is expected that these identified and validated biomarkers will lead to dietary intervention and recommendations for cognitive decline prevention. 6The D-CogPlast study is funded by JPI-HDHL and AgreenSkills+ Young incoming fellowship. Hardman, R.J., et al., Adherence to a Mediterranean-style diet and effects on cognition in adults: a qualitative evaluation and systemic review of longitudinal and prospective trials. Frontiers in Nutrition, 2016. 3(22): p. 1-13. Pelletier, A., et al., Mediterranean diet and preserved brain structural connectivity in older subjects. Alzheimer's & Dementia, 2015. 11(9): p. 1023-1031. Singh, B., et al., Association of mediterranean diet with mild cognitive impairment and Alzheimer's disease: a systematic review and meta-analysis. Journal of Alzheimer's Disease, 2014. 39(2): p. 271-282. The importance of adenosine and ATP in regulating many biological functions has long been recognized, especially for their effects on the cardiovascular homeostasis which may be used for management of hypertension and cardiovascular diseases. In response to ischemia and cardiovascular injury, ATP is broken down to release adenosine. The activity of adenosine is very short lived because it is rapidly taken up by myocardial and endothelial cells, erythrocytes (RBC), and also rapidly metabolized to oxypurine metabolites and other adenine nucleotides. Extra-cellular and intracellular ATP is broken down rapidly to ADP and AMP and finally to adenosine by 5’-nucleotidase. These metabolic events are known to occur in the myocardium, endothelium as well as in RBC. Exercise has been shown to increase metabolism of ATP in the RBC which may be an important mechanism for post exercise hypotension and cardiovascular protection. The post exercise effect was greater in hypertensive than in normotensive rats. The review summarizes current evidence in support of ATP metabolism in the RBC as potential systemic biomarker for cardiovascular protection and toxicities. It also discusses the opportunities, challenges and obstacles of exploiting ATP metabolism in RBC as target for drug development. Metabolic shifts associated with postharvest storage of Kinnow (Citrus reticulata). ‘Kinnow’ Mandarin is highly prone to quality deterioration during postharvest storage which seriously affects consumer acceptability. In order to understand the biochemical basis for alterations in quality, a comprehensive evaluation of various metabolites was undertaken by storing fruits at low temperature (5°C) and ambient temperature (20°C) for 8 and 4 weeks, respectively. Sugars, organic acids, vitamins, polyphenolic, and limonoids were quantified through LC-MS/MS. While concentrations of glucose and fructose showed an increasing trend at ambient temperature; values reached a plateau by 14 days at low temperature. Organic acids, vitamin-B complex and C declined significantly during storage; however, the pattern of decline was more rapid at ambient temperature than low temperature. High limonin levels were observed in fruits stored at ambient temperature. Based on metabolites, it seems that ‘Kinnow’ fruits can be safely stored for 6 weeks at low temperature without any impairment in quality. Overall results strongly suggest that both duration and temperature of storage are essential in determining optimum shelf life. Thus, metabolite profiling is a useful tool for discriminating differences in metabolites of citrus fruits stored under different storage conditions. Algae have been investigated and developed as a source of food, dietary supplement, and biofuel, due to their chemical and nutrient composition. However, the metabolic events in algae-elicited effects were not examined in details in spite of the fact that these benefits are largely based on the metabolic interactions between algal components and the biological system. In this study, the influences of consuming green algae (Scenedesmus sp.) on the metabolic status of young mice was investigated through growth performance, blood chemistry, and liquid chromatography-mass spectrometry (LC-MS)-based metabolomics. Compared to the control diet, 5% algae promoted growth performance while 20% algae suppressed it. Serum glucose, triacylglycerols (TAG), and blood urea nitrogen (BUN) levels were not affected by both treatments, but serum cholesterol level was dramatically decreased by 20% algae feeding. Metabolomic analysis of liver, serum, feces and urine samples indicated that algae feeding greatly affected the metabolites belonging to amino acid, lipid, microbial metabolism and antioxidant system. The growth promotion effect of 5% algae feeding was associated with the increased levels of hepatic reduced glutathione, niacinamide, dephophocoenzyme A, and adenylsuccinic acid. In contrast, the growth suppression effects of 20% algae feeding was correlated to the increased level of oxidized glutathione and carnitine in the liver, increased EPA and DHA in liver and serum, and increased acyl-glycine in the urine. Overall, multiple correlations between metabolite markers and growth performance in algae feeding were established in this study and could serve as a foundation for further mechanistic investigations on the biological effects of algae feeding. The conference will be held online (https://sciforum.net/conference/iecm-2) from 20–27 November 20 November –1 December 2017. Scientists have been accustomed to attend conferences, as they are an integral part of the scientific communication cycle. However, conferences require scientists for costly and time-consuming travels across the globe. 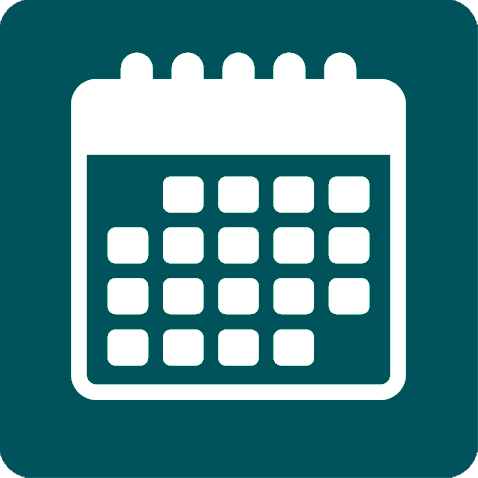 E-Conferences are here to reduce the additional burden of attending physical conferences: one can attend an e-conference from any place with Internet access and presentations from e-conferences can be attended online at any time. All participants can share ideas online without time and space barriers. Dr. Peter D. Karp is the director of the Bioinformatics Research Group within the Artificial Intelligence Center at SRI International. Dr. Karp has authored more than 160 publications in bioinformatics and computer science in areas including metabolic pathway bioinformatics, computational genomics, scientific visualization, and scientific databases. He is a Fellow of the American Association for the Advancement of Science and of the International Society for Computational Biology. 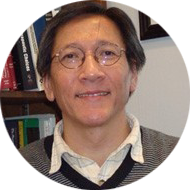 He received the Ph.D. degree in Computer Science from Stanford University in 1989, and was a postdoctoral fellow at the NIH National Center for Biotechnology Information. University of Cambridge, UKChristian Frezza is an MRC Programme Leader at the MRC Cancer Unit, University of Cambridge. He studied Medicinal Chemistry at the University of Padova, Italy, and gained his MSc in 2002, after a period of research on mitochondrial toxicity induced by photoactivable anticancer drugs. Christian then joined the laboratory of Luca Scorrano in Padova to start a PhD on mitochondrial dynamics and apoptosis. 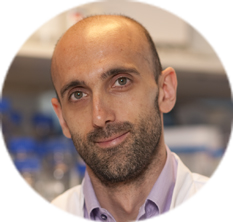 In 2008, he moved to the Beatson Institute of Cancer Research in Glasgow as recipient of an EMBO Long Term Fellowship, where he investigated the role of mitochondrial defects in tumorigenesis. He moved to the MRC Cancer Unit in 2012, to take up his current position. Christian’s research is focussed on understanding the role of altered metabolism in cancer, particularly investigating how small molecule metabolites affect the process of tumorigenesis. The major goal of his team is to exploit this knowledge to pioneer novel tools for cancer diagnosis and therapy. BERG LLCDr. Vladimir Tolstikov was awarded with PhD degree at the age of 28 years from the Institute of Chemical Means for Plant Protection, Moscow, Russia. During his career he was working in leading research academic institutions and industry including Max Plank Institute, UC Davis, Eli Lilly and Company and others. He is a pioneer in HILIC separations development applied to Metabolomics. He is the director of Metabolomics at BERG LLC. 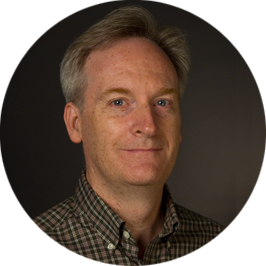 He has published more than 50 papers in reputed journals, 5 book chapters and has been serving as an editorial board member of MDPI Metabolites. He has participated and contributed in organization of various international meetings. 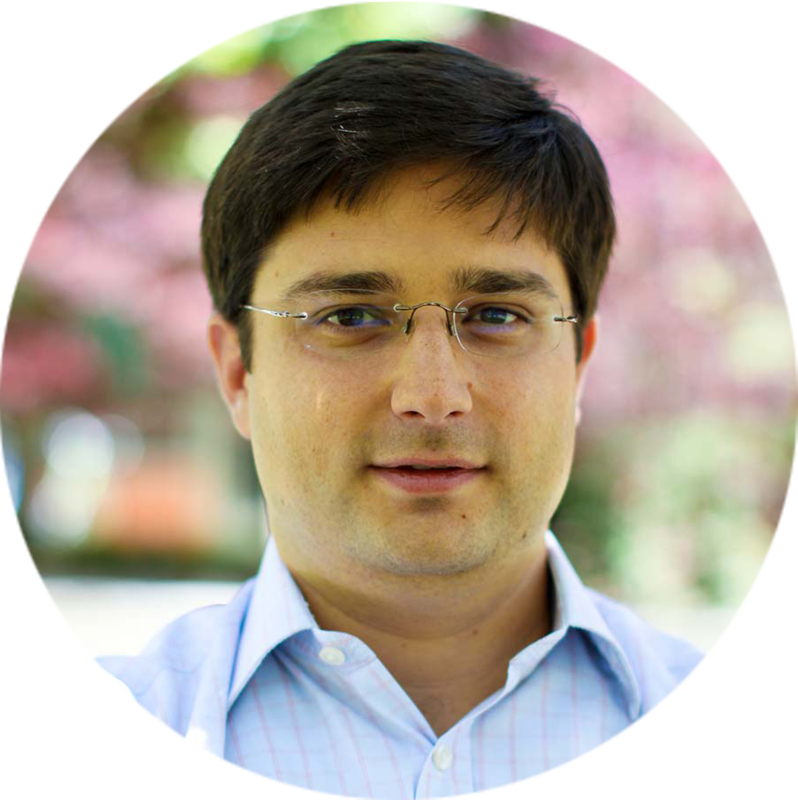 His current research interests are in the field of AI-guided multi-omics input into the Precision Medicine development. Biotechnology, University of Melbourne, Parkville, Victoria, AustraliaDr. 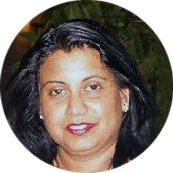 Thusitha Rupasinghe was awarded PhD degree in Analytical Chemistry in 2004 from the La Trobe University, Melbourne, Australia. During her career, she was working in leading pharmaceutical industry and research institutes, such as Arrow pharmaceuticals, centre for drug candidate and optimisation at Monash University and Bio21 institute at the University of Melbourne. She is a senior research scientist at Melabolomics Australia, school of Biosciences, the University of Melbourne and a leading scientist in lipidomics field. 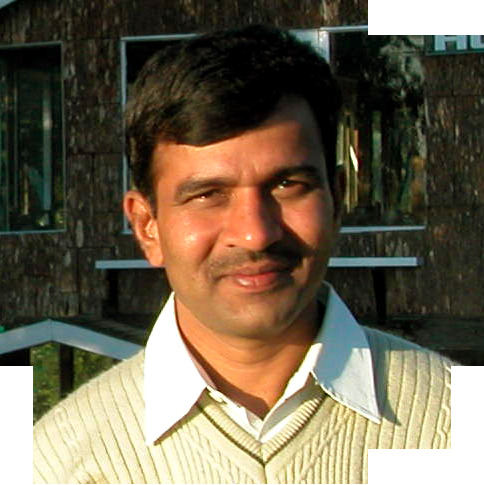 Thusitha has published more than 40 publications in peer reviewed articles, 5 book chapters. She is actively participated in organising national and international meetings in metabolomics and lipidomics. Her research interest are plant lipidomics and metabolomics using mass spectrometric techniques. 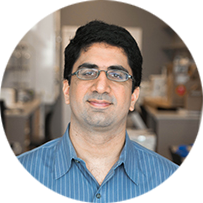 Aalim M. Weljie, Ph.D. is a Research Assistant Professor of Systems Pharmacology and Translational Therapeutics at the Perelman School of Medicine at the University of Pennsylvania. He received his B.Sc. in Chemistry and Certificate in Engineering from Mount Allison University in New Brunswick, Canada in 1996, and his Ph.D. in Biochemistry from the University of Calgary, Canada in 2003. He completed an industrial post-doctoral fellowship with Chenomx Inc where he developed expertise in quantitative NMR metabolomics, followed by a visiting scientist fellowship from EMBO to the University of Cambridge in the lab of Dr. Jules Griffin. Dr. Weljie was the co-Director of the Metabolomics Research Center at the University of Calgary from 2008 until he was recruited to Penn in 2012 in Pharmacology and the Institute of Translational Medicine and Therapeutics. Dr. Weljie’s current research interests focus is ‘Chrono-metabolomics’, including translational studies of metabolism and molecular clocks, such as sleep disruption, circadian rhythms and the influence of diseases such as cancer on the clock-metabolism connection as well as aging processes. 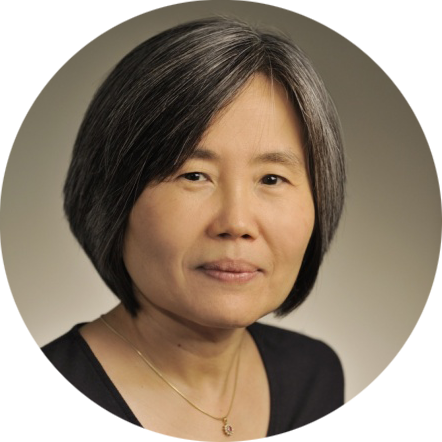 In addition to contributions to analytical methods for metabolomics, Dr. Weljie has reported novel cross-species biomarkers of sleep restriction, and the circadian nature of numerous metabolites in vitro and in vivo. Prof. Dr. Pollen K.F. Yeung, B.Sc Pharm., MSc. Ph.D.
Pollen Yeung completed his Ph.D from University of Saskatchewan (Saskatoon, SK, Canada) and is currently Professor of Pharmacy and Medicine at Dalhousie University in Halifax, NS, Canada. 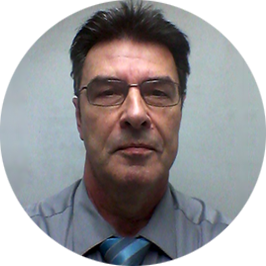 He has published more than 90 peer reviewed articles in reputed journals and is currently serving as Editor-in-Chief for Cardiovascular Pharmacology Open Access, a Guest Editor on a thematic issue on “Biomarkers and Metabolomics for Drug Discovery” for Metabolites, and an editorial member for Medical Sciences Monitor, Metabolites, Natural Products Chemistry and Research Open Access, Cardiovascular and Hematologic Disorders Drug Targets and Current Drug Safety.